Back in the day, which for the record was long before I was born, most beef was transported via cattle drives. Cows were driven in herds from the southwest up famous trails like the Chisholm and Great Western, destination: Kansas. Meat is one of the early commodities that made Kansas great as most of the trails ended somewhere in the the vicinity. Because of its close association with the beef business, Kansas City became renown for its BBQ. Ask any Kansas City resident what you should eat while in town and it will nearly always be some sort of meat joint. Meat is king in Kansas City. With its fleshy history, only one hot dog will do for the Kansas City Royals: The Meat Bomb. It is a combination of the tasty meats that belong on a bun. Here is the rundown on how to build your own bomb. Toast the bun, it will need the extra firmness to hold all of that carnage together. Also, it is much easier to tackle if you split the bun and use the halves like sandwich bread. 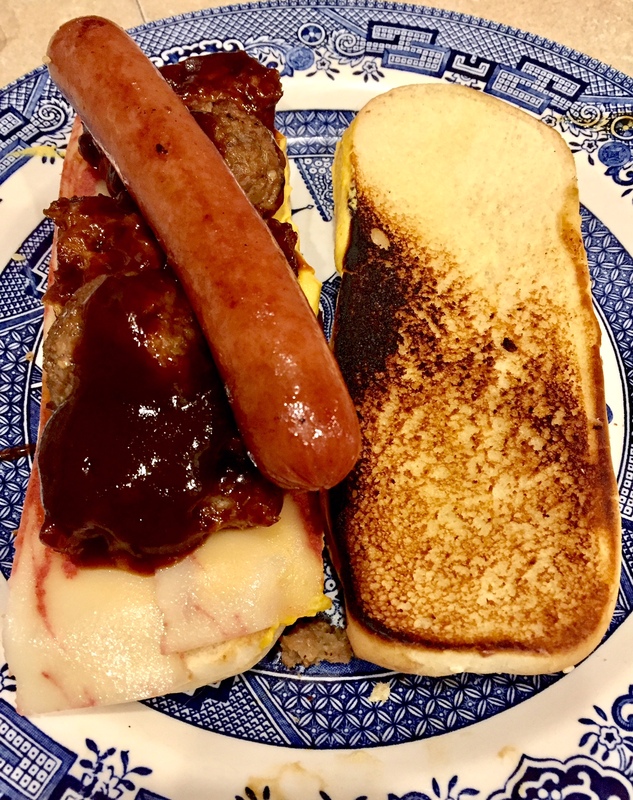 Start with two or three slices of bacon as a base, lay on a small slab of BBQ ribs, add three meatballs, douse with KC Masterpiece BBQ sauce (it comes in many flavors, use the one of your choice). Then lay on the star attraction, the all-beef Hebrew National frank. It's a challenge to eat, the meatballs will want to roll around, and keeping the frank centered on the bun is no small task. But trust me on this, one bite and you will be singing the them song to Rawhide. This bomb explodes with the flavor of the best of the world of meat. Beer pairing: Nothing will defuse the bite of this BBQ meat bomb like the crisp, cool taste of a Boulevard beer. 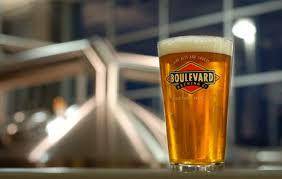 Brewed in Kansas City, it is nationally available and comes in many varieties, but the Imperial Pilsner is recommended.